Join Our Mailing List & Receive New Product Updates! 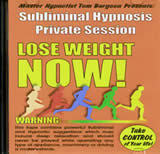 Click for Hypnosis Products * Or, pick a card and win a prize! Your audience will be Amazed, Amused and Astounded when Tom Burgoon invites Your Own People to enter the incredible "World of Hypnosis"! The human brain is a complicated biochemical machine that is just now beginning to be examined, captured, cataloged and barely understood. It is the residence of the heart and soul of a human being and the Throne of the Imagination. The Imagination is the prime focus of this Dynamic Program! Without any trace of belittlement, Tom will take a group of Volunteers Onstage and the audience in their seats, on a wonderful journey full of merriment, music and mirth. You have never experienced anything like this before. This show is totally unique and different. An Entertainment designed for the thinking men and women of this exciting time in which we live and work. Explore the fascinating "World of the Mind". "We've done a lot of great things over the years for our parties, but I have never seen our people laugh so hard for so long. The hypnosis was amazing! Thanks for making our party such a huge success!" "The hypnosis is something you have to see to believe! The show is in good taste and even better than the demo tape we reviewed. We never laughed so much!" "It was a major hit! Tom had us rolling in our seats with tears flowing down our faces from laughing. Definitely two thumbs up!" What card is Tom thinking of? Make the right choice and YOU win a prize! It's time to take control. Resisting urges to overeat requires a personal commitment to re-assess established eating patterns, identification of factors that promote unhealthy eating, consulting your physician to establish a lifestyle plan right for you and then setting forth to achieve your goal. Unhealthy eating patterns are generally established over a period of time. The success of this undertaking is determined by your degree of conviction and commitment to change... the more you work at it, the more effective the outcome. Subliminal Hypnosis is a viable, self-help method that when accompanied by healthy lifestyle choices can assist with achieving your goals. It's time to take control. Eliminating the overwhelming urge to smoke requires a personal commitment to quit and an affirmative plan of action. Eliminating the addiction is a process that involves creating new patterns and undoing existing patterns over a period of time. 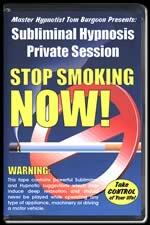 Subliminal Hypnosis is a viable, self-help method that when incorporated into your action plan, can aid in the removal of cigarettes from your life. Stress can hurt you. This tape can help you relax. Successfully reducing the amount of stress in your life is determined in part by your commitment to eliminating the many types of stress you encounter: the more you work at it, the more effective the outcome. Subliminal Hypnosis is a viable, self-help method that when accompanied by healthy lifestyle choices can assist in producing a minimal-stress environment. 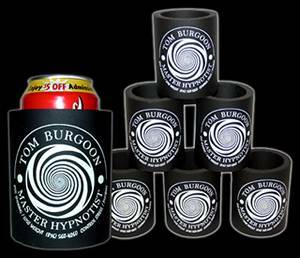 Enjoy your favorite beverage while the hypnotic spiral puts you to sleep!